The boat defines a fisherman’s style, preferences and level of experience. Bearing this in mind, the best advice we can give when searching to find the perfect fishing boat is to first consider your own personal requirements, and only afterwards to think about the “technical” details. Things to think of when making up your mind is to consider: where you live, how often you go fishing, if you go by yourself or not, your fishing style, your level of experience, your weight and the weight of your gear and sometimes the most important aspect: your budget. This article will provide you with full details about inflatable pontoon boats. Bear in mind that this type of boat is especially designed for fishing. If you just want to cruise or paddle, or to mix fishing with paddling, you should check out other types of boats. 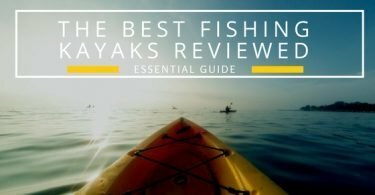 This is our guide collected from a group of people knowledgeable about both fishing and boats (Fisherman are quite picky and detailed with their research and they rely on their real world experiences). 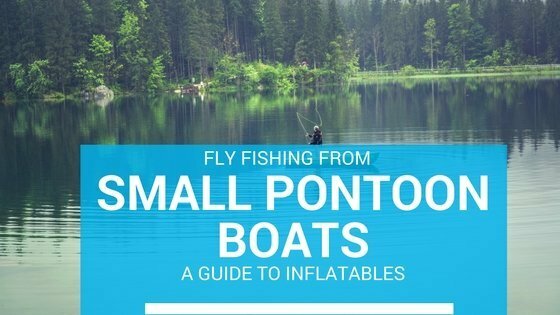 our Top 5 recommendations for inflatable pontoon fishing boats. Fortunately, the market is well developed and can meet most requirements and preferences so that you can make informed choices before purchasing. 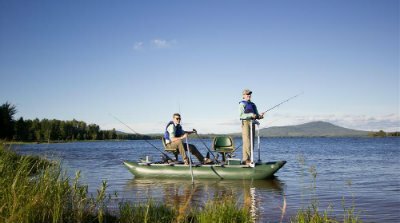 Keep in mind that there are several types of inflatable fishing ﻿﻿boats, but we believe that inflatable pontoon boats are perfect for fishing. Moreover, this category includes a large variety of types, features and brands so let’s get started! Inflation and Assembly Time: 5 Mins. An inflatable pontoon boat consists of two large air bladders linked by a curved air bladder or by a metal frame. The seat may be inflatable itself or attached to a metal frame. If we were to define the inflatable fishing pontoon boats with one word, it would be convenience. 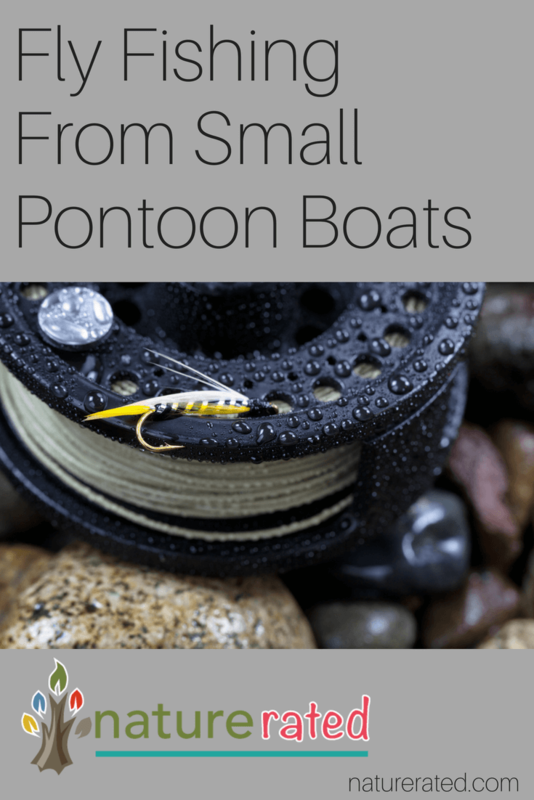 They’re especially created for fishing and fly-fishing. 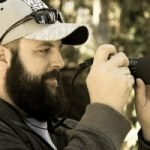 This is important as fly anglers need as many fishing accessories and features as possible to get the best results. Your inflatable fishing pontoon boat will already have some important features on board such as pockets, rod holders, oars, a board frame where you may attach other fishing accessories, so that you can easily fish while floating comfortably. Easy to store & transport. There are some larger inflatable pontoon boats for two or more persons which are heavier and more difficult to transport. But all the other types are actually smaller pontoon boats that can be easily transported by one person and you can literally store them anywhere. For you to get a general idea, such a small inflatable pontoon boat may get to the size of a big ish backpack when deflated. Moreover, you don’t have to worry about setting it up on the water. It usually takes around 5 to 10 minutes to inflate it. Mainly for solo use. There aren’t as many options of pontoon boats for two or more people. They are mostly designed for solo use and their portability is the real benefit. In case you need a boat for more users, you might want to consider the best inflatable kayak, canoe or other type of inflatable boat. Versatility. Inflatable pontoon boats are not multipurpose boats, but they have certain characteristics that make them quite versatile. Being a small pontoon boat, you can easily reach remote fishing places. One of their significant features is that you can attach a gas or electric motor system for a small extra-cost. You can either paddle or use the trolling motor either way, handling of a fishing pontoon boats is really easy. Meant for use in calm waters. The specifications say that some of the inflatable pontoon boats can be used in Class IV rapid waters, but we highly recommend them for calm waters such as lakes, ponds, bay areas and gentle rivers. Resistant & stable. Advances in technology has ensured that all big or small inflatable pontoon boats are fairly resistant and very strong. They are able to support a significant weight capacity which doesn’t affecting their stability. They are tough and can resist quite a lot of abuse, but we recommend to avoid dragging the boats over gravel or sharp debris as they will tear over time. You might want to consider getting a wheel cart for safe transportation. Cost-effective. In general, when you buy a new boat there’s usually no need for extra-investments. They vary in prices and generally the more you spend, the more you get, but, in general, the they’re much cheaper than the hard-shell boats so you get a lot of good fishing for your money. Another benefit is that they are easy to maintain and, with a little bit of attention, you won’t pay a lot of money for care and repairs. We will focus on four types of inflatable pontoon boats: frameless inflatable pontoon boats, inflatable pontoon boats with frames and (even if not really within the same category, but still important to mention) float tubes. Frameless inflatable pontoon boats: they are fully inflatable and, therefore more convenient than the boats with frames. They are easier and faster to assemble or disassemble and to carry and store. The inflatable deck makes them more stable and they can support a larger weight capacity without affecting stability. They are easy to operate with both oars or motor and they can be used in a fiercer waters due to their stability. Inflatable pontoon boats with frames: in this case, the two large air bladders are connected by a metal frame, and the seat is attached to this frame. It takes a little more time and effort to assemble such boat, but it still has a great rating among fishermen. It is easy to manoeuvre, you can still attach the motor system and it has pockets and bags, storing a decent weight of fishing gear. The deck is much closer to the water than on frameless inflatable pontoon boats, which is great if you’re a fisherman who likes to land fish using your hands. If you find it difficult to decide between a frameless boat and one with frames, consider that the frameless one is usually more expensive, but it brings you more value for money in terms of convenience and manoeuvrability. A boat with frames is better if you have a fishing style that involves being closer to the water, but, if you need to carry a lot of gear, this boat may get unbalanced, especially if you decide to attach a motor system. Float tubes: Float tubes are a little bit out of the category, but they still have similar features hence why we’re also mentioning them. They are actually inflatable seats with several pockets, and your legs stay in the water while fishing. The float tube is meant for the fishermen who like to stalk the fish and be closer to the water obviously providing more comfort than just standing up by the bank. It has no maneuverability at all, as you need to paddle with your feet. 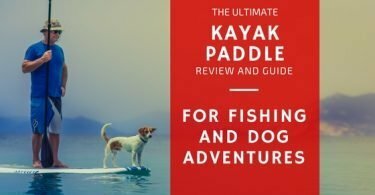 If you can't be bothered have a look at our best paddle for kayaking guide. Float tubes are the cheapest, they’re very easy to store and transport and they can only be used in calm waters such as lakes or ponds. There are loads of variety on offer but we’ve checked out and reviewed some of the best. These are our recommendations after testing them or after reading review after review to find the best. This small inflatable pontoon boat stands out of the crowd. Its one-of-a-kind design and features make the Sea Eagle 285 Frameless Pontoon Boat to have one of the best inflatable boat reviews by its users. It is frameless, which makes it very easy to set up (around 5 minute inflation time), transport and store. It has a wooden floorboard providing stability, and the angler can easily stand up to cast the line. The seat may be inflatable or you can choose a swivel seat that has 360 degrees rotation which allows you to sit higher. 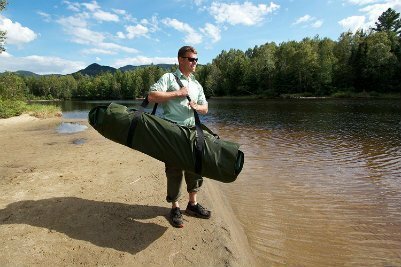 It includes two integrated Scotty rod holders, excellent accessories, carry bag, clip-on bow stow pouch, 5’ 2’’ oar set and a repair kit. 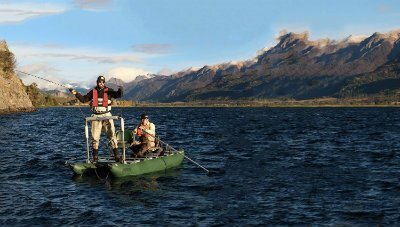 Its frameless design allows you to get to very remote areas in ponds, creeks, lakes, ocean bays or slow rivers so that get to pick the best fishing spots. The Colorado XT Boat is the best option among pontoon boats with frames. The manufacturer has upgraded it along the way, and it includes a lot of valuable features that make it a great deal. The last version of this inflated pontoon boat includes a transportation wheel, which makes your life easier, as before it was difficult to be handled by only one person. It has 20 removable pockets, which is enough to keep your gear and other small items. The integrated anchor system is highly appreciated by anglers used to fish in a canoe or kayak. The optional motor system can be mounted in two positions, which makes the trolling more convenient. The seat and the footrest are adjustable and it provides quite a comfy experience. It can be set up in 20-30 minutes, but it takes about 10 minutes to disassemble. It is slightly cheaper than a top frameless inflatable boat, and it offers great value for many due to its quality materials and the variety of features and accessories. This is definitely a great choice. If you read the user reviews, you will see that Sea Eagle is considered one of the best producers of inflatable fishing boats. They’re fanatical about the details and pay close attention to the quality of materials and accessories. The Sea Eagle 375 Fold Cat Inflatable Pontoon Boat makes no exception. This boat is designed for two users and its main features are: a unique folding frame that makes it extremely easy to set-up and pack up (around 10 minutes to assemble and disassemble); full fabric floor that allows storage of various fishing supplies; qualitative rod holders that can support any type of rods and it has a 360 degrees rotation; a good motor system helping you to get through tough winds; excellent seats that offer their users great visibility, comfort and flexibility. This is the best choice if you’re looking for a tandem. This inflatable pontoon boat with frames is not the best available in the category but you get great value for money. It is built with very good materials and you will get all the basic fishing accessories you need for a nice trip. This boat is safe, tough and it has good storage space for one-day trips. It has a decent degree of comfort and it is lighter than many other boats. It is a compact, easy-to-transport and easy-to-store. It’s a well-equipped inflatable boat that makes it a great deal for the price. This float tube covers all possible features for its category. Its extra high seat provides comfort and visibility. It has a variety of pockets of different sizes and locking systems so that you can store as much as possible in such a small fishing tube. It includes two-rod holders at hand for an easy fishing. It is light and easy to carry due to its adjustable shoulder strap. If you love fishing in calm waters and you don’t want to pay a lot of money, this is certainly an option to consider. If you love fishing, but you live far from the water, purchasing an inflatable fishing pontoon boat will be the best decision. You will get all the fishing you can fit in with a boat that packs down to the size of a backpack. These boats will offer you similar stability, durability and maneuverability to hard-shell boats, but for less money and effort required. What are you waiting for - Grab yourself one now!